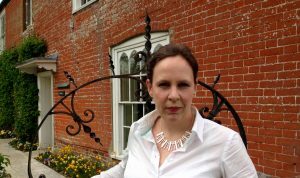 The third and fourth episodes in Dr Sarah Dillon’s literary detective documentary series for BBC Radio 3 – Literary Pursuits – will be broadcast to bracket the Hay Festival at 6.45pm on Sunday 29th May and Sunday 5th June. Episode 3 investigates the story behind the posthumous publication of Jane Austen’s Persuasion whilst episode 4 travels to Dublin to unravel the mystery behind a singed proof copy of James Joyce’s Dubliners, dated 4 years before the book’s publication. Previous episodes in the series investigate Charles Dickens’ Great Expectations and Jean Rhys’ Wide Sargasso Sea. All the episodes in the series can be listened to on the Literary Pursuits page of the BBC iplayer.